Flexible work continues to spread and grow, driven largely by the voices of parents (especially mothers) who no longer feel they should have to choose between caring for their family and having a fulfilling career. But flexibility doesn’t just benefit working mothers; in fact, it has incredible, real benefits for all people who work, their families, and the world around us. To demonstrate, this article takes a novel approach and outlines the ways flexibility—specifically remote working, or the ability to regularly work away from the centralized workplace—supports the UN Sustainable Development Goals (UN SDGs). 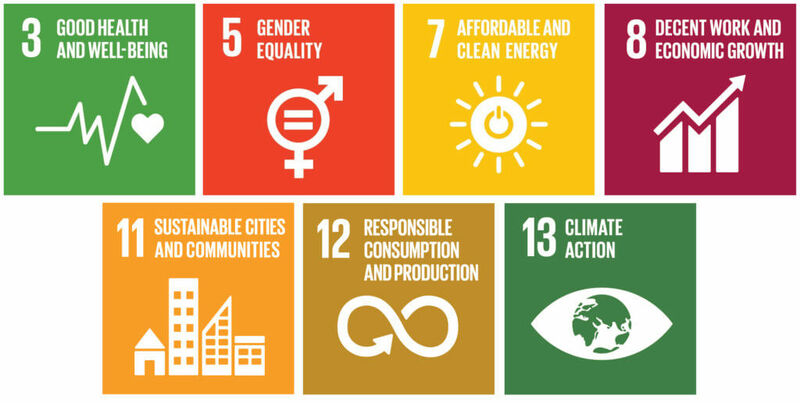 It can also be rolled out quickly and cheaply, and provides an attractive method to boost the success of the SDGs. This is particularly important now as the latest UN progress report has found there is a high risk that many of the SDGs will not be reached by their target date of 2030. Generally, remote working gives people more time and energy to focus on their diet, exercise, relationships, leisure, and passions—all drivers of a healthy body and mind. But within this Goal there is also a specific Target (3.6) that aims to halve the number of global deaths and injuries from road traffic accidents. Globally, approximately 1.25 million people die each year as a result of road traffic crashes, and many more are injured. One powerful way we can reduce accident rates is simply to drive less. 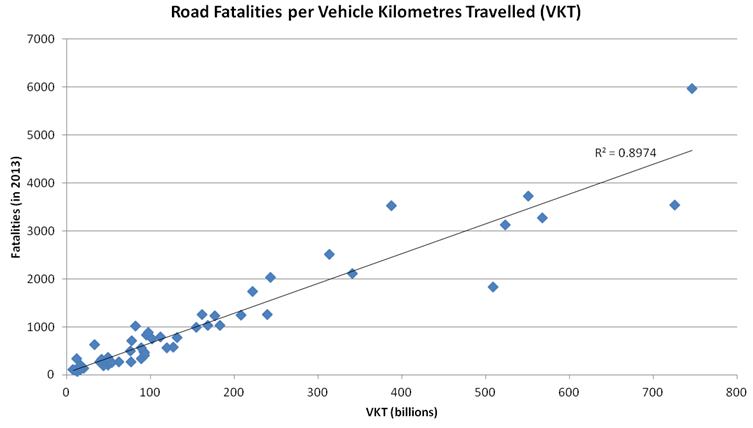 Studies show that vehicle kilometres travelled (VKT) are directly related to accident occurrences. The following graph shows a strong correlation between VKT and road fatalities in 53 high-income countries and U.S. (data from this report). Commuting to work accounts for over a quarter of kilometres travelled in passenger vehicles; hence, if more people worked remotely more often, VKT would be reduced considerably (especially during busy periods), resulting in a direct reduction in accidents and deaths. Remote working, and the changes to management styles required to enable remote working (such as measuring output rather than time spent in the office), are strong drivers for gender equality both at home and in the workplace. Target 5.4 is specifically about promoting shared responsibility within the household. Purely by avoiding the commute, the average worker saves 53 minutes per day. A man who works remotely would then have more time and energy to share in household responsibilities. On top of that, having more time at home exposes them to the true requirements of household management (surprisingly, more than just taking out the trash and sweeping floors), thus helping to shift perceptions about responsibilities at home. Women who work remotely benefit from this extra time not commuting because it can be translated to more sleep, personal activities, exercise, and anything else that adds to their health and wellbeing. Avoiding the daily commute also reduces anxiety and increases overall life satisfaction, undoubtedly one of the main purposes of this Goal. Another Target (5.b) aims to empower women through the use of information and communications technology. The ability to work from anywhere with the use of technology allows women to integrate work and life, and manage them holistically. Rather than having to push one aside for the other, women are empowered to succeed at both. Tellingly, Sara Sutton, founder and CEO of FlexJobs, found that companies with mostly or entirely remote workforces had significantly more women in leadership roles compared to S&P 500 companies. Target 7.3 has the aim of doubling the global rate of improvement in energy efficiency. Working remotely is one of those ‘unsexy’ yet highly effective methods for improving energy efficiency by simply using less. Transport accounts for a large percentage of overall energy use (29% in the U.S.), so simply eliminating a major portion of our travel needs by not driving to the office every day can have a significant impact on the world’s energy efficiency. If we could, for example, work from home two or three days a week, this would decrease our total travel requirements by 10–15%—a huge gain in efficiency compared to even the most advanced changes to technology. Additionally, remote working increases efficiencies in building energy. Employees are in control of their energy use at home with regards to climate control, lighting, and other electronics; and they have a greater onus (they pay for it!) to decrease its use, so they do. Goal 8. Promote sustained, inclusive, and sustainable economic growth; full and productive employment; and decent work for all. Traffic congestion costs hundreds of billions of dollars in avoidable losses to commuters and businesses around the world. Working remotely (or even varying start and finish times) can have a significant effect on congestion by decreasing traffic volume in peak hours: it only takes a 5% decrease in traffic to increase travel speeds on congested roads by 50%. This is one of the most powerful benefits of working remotely, as there is no easier or more effective method for reducing traffic congestion than simply reducing the number of cars on the road. Lower congestion also improves the reliability of public transport (bus) systems, the aim of Target 11.2. Secondly, disengaged and distracted workers present massive productivity losses and opportunity costs to businesses. In the US alone, actively disengaged workers cost business over $450 billion per year, and distractions cost an estimated $588 billion per year. Worker engagement has been shown to increase with remote workforces, by up to 25% with only one day working from home. Reasons include an increased feeling of autonomy and independence, and having higher-quality connections with co-workers when back in the office. Higher engagement leads to decreases in sick days, turnover, mistakes, and safety incidences; which in turn contribute to higher profits. This controlled study by the NBER also shows remote workers being 9-22% more productive than their in-office counterparts. People were less distracted and could just focus on getting their work done. The aim of Target 11.1 is to ensure people have access to safe and affordable housing. In Australia, for example, the younger generation is facing a much more difficult task of breaking into the housing market than previous generations. Working remotely eases the need to live close to city centers and allows options for housing locations that are further from the office and much more affordable. Another Target (11.a) seeks to strengthen links between urban and rural areas for the benefit of both. As in 11.1 above, if a well-paid professional could work remotely, they could live in a regional town for the relaxed lifestyle, and this would help to expose that regional town to different avenues of wealth and mentorship; especially valuable for young people who are developing personal and professional interests. Target 12.6 encourages companies to adopt sustainable practices. 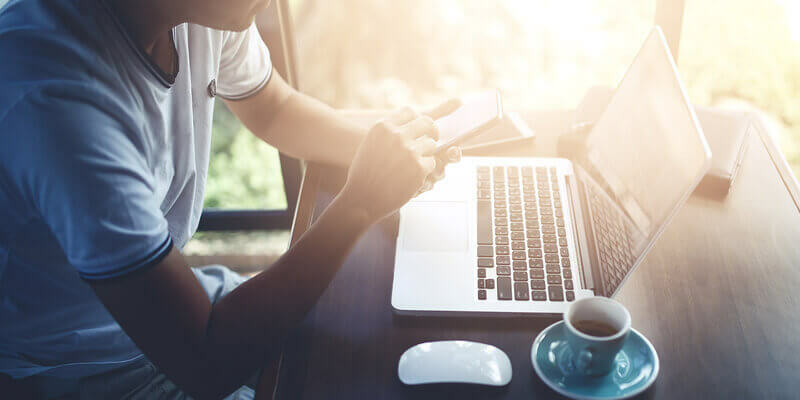 The average business would save about $11,000 per employee who works remotely part-time; but this figure could be much higher when considering the hard-to-measure savings associated with higher quality of work and more ‘a-ha! million-dollar-ideas’ from highly engaged employees. Translated to multiple workers—think of a company with hundreds or thousands of people who don’t need to be in the office every day—and you’re looking at big bucks. The businesses that trial and then roll out flexibility, and see the environmental and bottom-line benefits, serve as important case studies and encouragement for others to adopt this sustainable practice. There is also the added benefit of remote workers being able to continue working through major weather events, such as floods, snow storms, and heat waves. This adds resilience to the economy and decreases risks to individuals even if disasters continue to increase due to climate change. Want to support work flexibility? Sign up for 1 Million for Work Flexibility today! Having experienced enough years of "rigid" workplaces and super-commutes, Robert Hawkins, an ex-engineer and business improvement manager, now works to further our progress to a more human way of doing business. He believes that instead of milking people for a few percent, let them live and they'll give you a thousand percent.